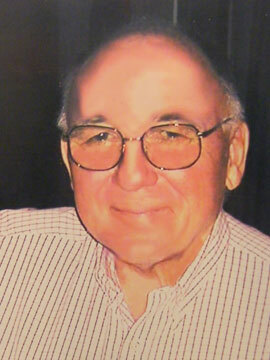 Ronald Samuel Deans died on January 22 at his home in La Floresta at the age of 81. Deans was born November 24, 1932 in Toronto, Ontario, where he grew up. He graduated from the University of Toronto in 1954. A few years later he married his wife of 55 years, Ann. They had two sons. Deans worked for Letreset Canada and McClain Hunter before starting his own value-added paper company, Geo Graphics International, in British Columbia. Deans soon needed to build a plant, and did so in Blaine, Washington. He grew the company to 700 employees who respected and admired him. Deans was CEO of the company until his move to Mexico 15 years ago. He was an avid golfer and could frequently be found playing at the Atlas Club. Deans is survived by his wife, and sons Scott and Mark Deans. He will be greatly missed by his loved ones and his extended Mexican family in Ajijic. Juanita “Snooky” Heim passed away on Thursday, February 6 at San Javier Hospital in Guadalajara after a long illness. She was 87. Born October 20, 1926 in Glendale, California, Heim grew up in Louisville, Kentucky. She lived in Japan, France and England at various times in her life prior to moving to Lakeside in 2000. Heim was an active member of the Daughters of the American Revolution, an avid genealogist, and loved to travel. She was a member of a 12-step recovery program for more than 38 years and assisted many to recovery. She was predeceased by her husband Bill Heim, one brother, Thomas, and three sisters, Geneva, Martha, and Kathleen, and her loving mother Frances Thomas Montgomery. She is survived by her children, Bill (Pat), Candy (Randy), Monty (Carolyn) and Emilie (Paul), grandchildren, Ian, Corey, Erik, Elizabeth, Amanda and Alex, three great grandchildren, Ithan, Avery and Camden, as well as other family, cousins and friends all over the world. Marian Becker died peacefully on February 9, after a series of debilitating illnesses at the age of 71. Becker was born February 23, 1942 in Brooklyn, New York. In 1963 she married Glen Hahn, with whom she had three children. They later divorced. She married Ray Becker in September 1990. The couple moved to Lakeside in August 2005, settling in La Canacinta. Becker is survived by her husband, three daughters, Elizabeth,(Kevin), Cristine Hahn, Kathy Koblitz (Daniel), stepdaughter Claire Crookall (Robbie), and two grandchildren. Becker had an amazing sense of fun and humor, which she never lost. She will be greatly missed. The family would like to thank the doctor, nurses, and staff who went above and beyond their duty in their care of Becker.